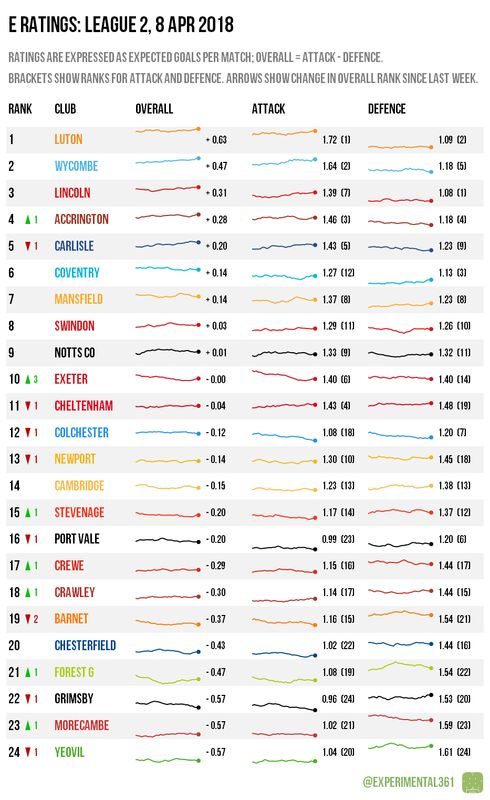 Luton cemented their status as the strongest performers in the division with a comfortable win over Yeovil, who now look (marginally) worst of all, in a near-dead heat with Grimsby and Morecambe despite it being perfectly possible for none of those three to be relegated. Exeter meanwhile continue their timely recovery, with their attack in particular looking reinvigorated of late. 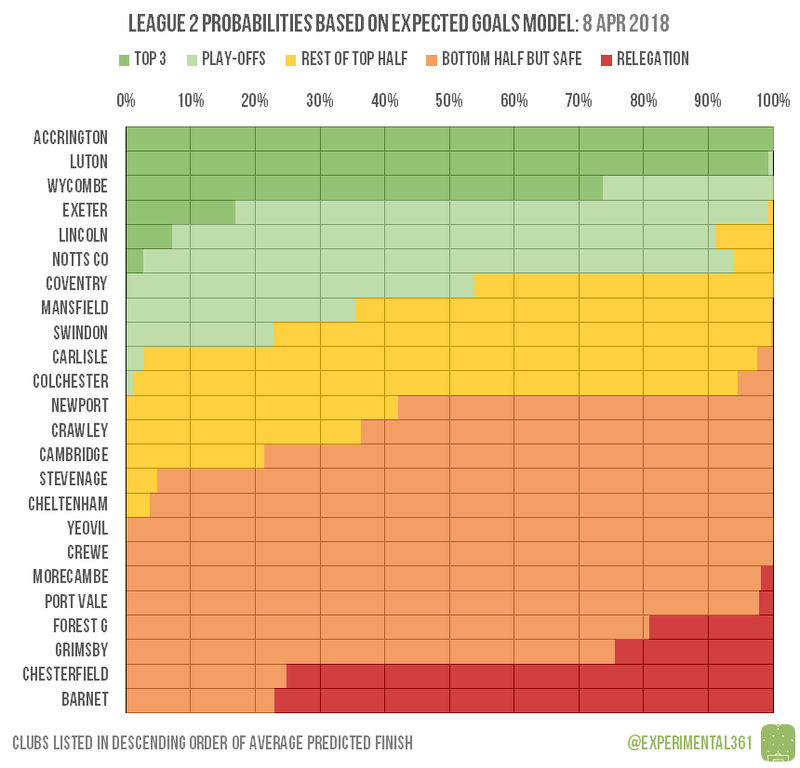 It’s difficult to see anything coming between Accrington, Luton and automatic promotion now, with a resurgent Exeter keeping some pressure on Wycombe for third place. Notts County‘s win over Coventry looks to have all but secured a play-off berth, with the Sky Blues now scrapping it out for the final spot. At the bottom, Grimsby‘s win saw them take a huge step towards survival, but either they or Forest Green could still be caught.